The Chevrolet Sonic is a compact sedan or hatchback that's aimed at efficiency and affordability. The Sonic replaced the old Korean-built Aveo back in the 2012 model year. Since then, it's held up well with fun styling and performance and a back seat that's usable by adults with some negotiation. 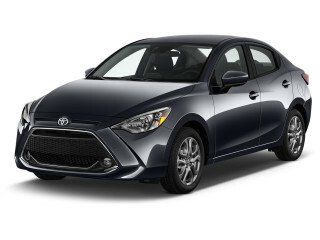 With the Sonic, Chevrolet has a pint-size rival for the Ford Fiesta, Honda Fit, Hyundai Accent, Nissan Versa, and Toyota Yaris, especially the Yaris iA sedan (nee Scion iA). The Sonic carries over into 2019 with few changes. 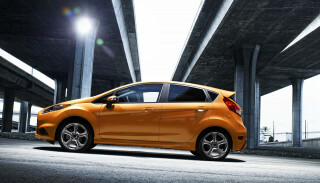 The Sonic sedan and hatchback arrived for the 2012 model year. Both are comfortable and relatively refined, with road noise noticeably squelched compared to the sound levels in most cars this size. 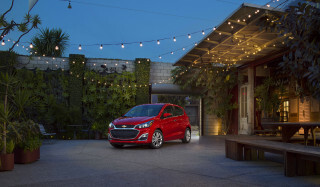 Going from the old Aveo to this Sonic, Chevy practically leapfrogged the whole subcompact segment, offering a better package than most of its competition. The Chevy Sonic is now one of the larger "subcompacts" in a class that's suffered quite a lot of bracket creep in its dimensions. This resizing left room below the Sonic range for a new nameplate: the Spark minicar, the smallest car sold with a Chevrolet badge in decades. Given modern safety standards and feature requirements, it's not surprising that the Sonic is a bigger and heavier car than the Aveo. It's also more substantial in a good way, and considerably more entertaining to drive. The Sonic comes standard with a naturally aspirated 1.8-liter inline-4 that's efficient and good enough, but it's the optional 1.4-liter turbo-4 that really wakes this little Chevy up. It's more powerful, more refined, and just plain smoother, and actually returns better fuel-economy ratings thanks to its smaller displacement. Either engine can be had with a choice of 6-speed manual or 6-speed automatic. All Sonics have electric power steering with nice weighting that provides a reassuring feel on the road. Gas mileage for the Sonic is also much better than with the former Aveo. With highway ratings by the EPA that hit the 40-mpg sweet spot with the 1.4-liter turbo-4, the Sonic rivaled the best in class when it launched. A new Honda Fit in 2015 and a 2017 adjustment of the EPA fuel-economy calculations knocked the bloom off the rose, and the Sonic's larger sibling the Cruze now gets better ratings even before its high-mileage diesel variant. While the Sonic still doesn't have a package that's as intensely space-efficient or versatile for cargo carrying as that of the Honda Fit, the interior comfort is good and there is adequate space inside. Sonic sedans are about a foot longer—at 173 inches, the length of a compact, really—and in our opinion their styling doesn't look like an afterthought as do many four-doors in the category. Trunk space for the sedans is surprisingly vast (19 cubic feet) although the versatility of the hatchbacks is hard to beat. Our only letdown in the hatchback is that its load floor is quite high and that makes it somewhat less useful and versatile than the Fit. But the Sonic is more entertaining to drive than the latest Fit, and most would probably agree that the Chevy wins the styling comparison as well. 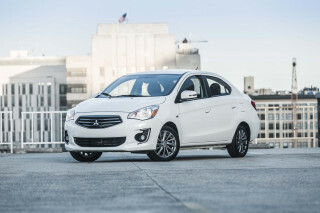 The Sonic is one of the safest small-car picks, especially among value-leading subcompacts. Current Sonics receive top five-star federal safety ratings, and top "Good" scores in all tests, according to the IIHS, which have resulted in a Top Safety Pick honor by the agency in previous years. Standard equipment in the Sonic includes keyless entry and air conditioning. At the middle of the lineup, the Sonic LT gets an upgrade to satellite radio and six-speaker sound, plus power windows and power heated mirrors. To get some tech essentials, like a USB audio input and Bluetooth, you'll need to reach up to the LT or LTZ, but prices remain affordable, at less than $20,000 even for a loaded LTZ. 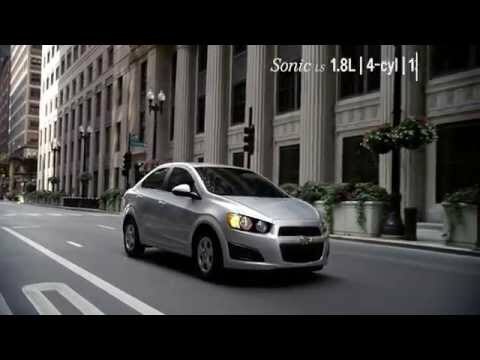 In late 2012, Chevy also unveiled a new, production-ready version of the Sonic sedan, dubbed the Chevrolet Sonic Dusk which had previously appeared as a concept model in 2011. The idea behind the Dusk was to add luxury touches to the Sonic. For 2013, Chevrolet introduced a sporty Sonic RS variant, initially offered only in five-door form, that keeps the same 138-hp 1.4-liter inline-4, but has a number of visual cues to give it more of a "hot hatch" look. On the outside, there are different front and rear fascias, rocker-panel extensions, and special fog lamps, plus 17-inch wheels and a tuned exhaust. The car also receives a shorter final-drive ratio to improve engine response and rides on a lowered, sport-tuned suspension. Inside, vinyl-and-faux-suede sport seats with red stitching, special trim, and piano-black accents, and the Chevrolet MyLink touchscreen interface is standard. Chevy added an RS sedan for 2014. MyLink availability expanded to some other Sonic models in 2013; it is optional on LS and LT trims and standard on the Sonic LTZ. The same year, Chevy added six-speaker sound systems and blind-spot mirrors to the Sonic and also included remote start capability on all models equipped with the automatic transmission. MyLink also now works with a smartphone-based navigation app. 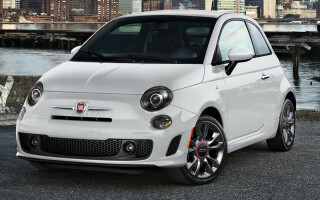 The 2014 model year brought the RS sedan and several more minor changes. The biggest change for 2015 was the addition of 4G LTE connectivity for OnStar and onboard data with wi-fi hotspot capability, while LTZ models now come standard with the 1.4-liter inline-4 and MyLink is no longer available on LS models. 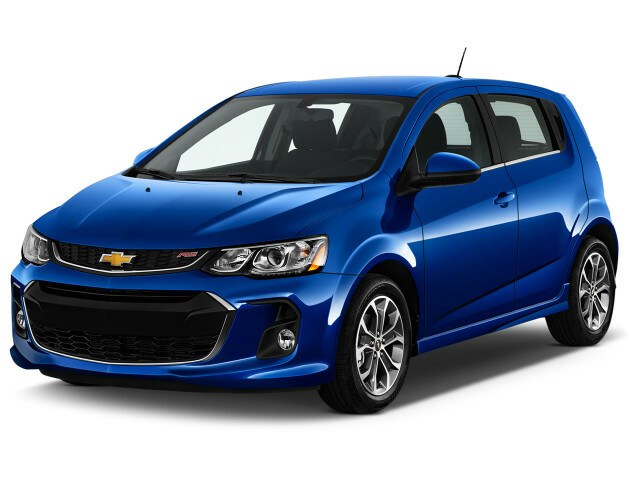 For 2016, the Chevy Sonic gets a few new colors and some minor feature changes. In 2017, the Sonic received a mild cosmetic update, as well as a standard rearview camera and available new safety technology like forward-collision alert and lane-departure warning. Changes for 2018 involved only tweaks to trim options and a new paint color.